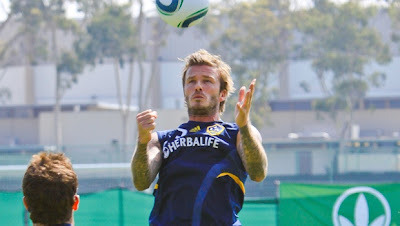 Yesterday, David Beckham participated in an LA Galaxy training session for the first time since suffering a torn left Achilles tendon on March 14. 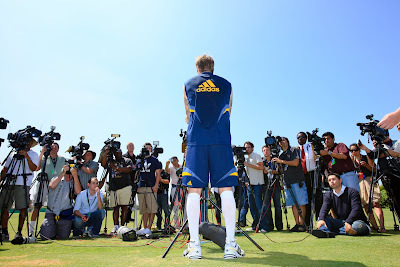 Below are some photos from yesterday's session, courtesy of LA Galaxy photographer Robert Mora. 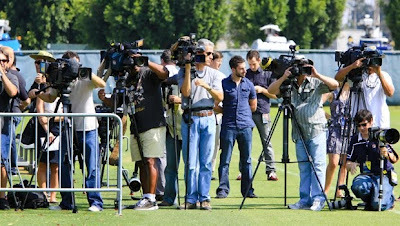 For more photos, go to LAGalaxy.com;s photo gallery here. Thanks very much for these pics and training updates. It's appreciated. I wish the best of training and confidence and power and learning for ALL of our players - especially our young players who have been given chances to play in the past few league and non-league matches. 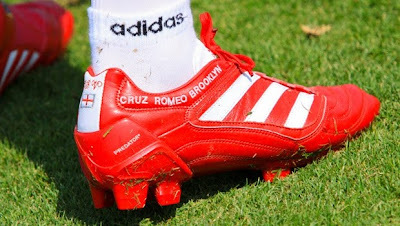 I wish ALL of them steady play and recovery back into top form. First Look at "La Islandera"